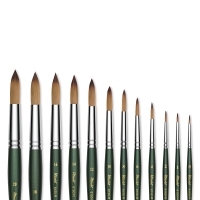 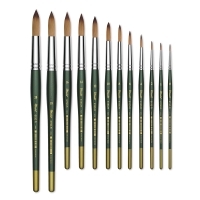 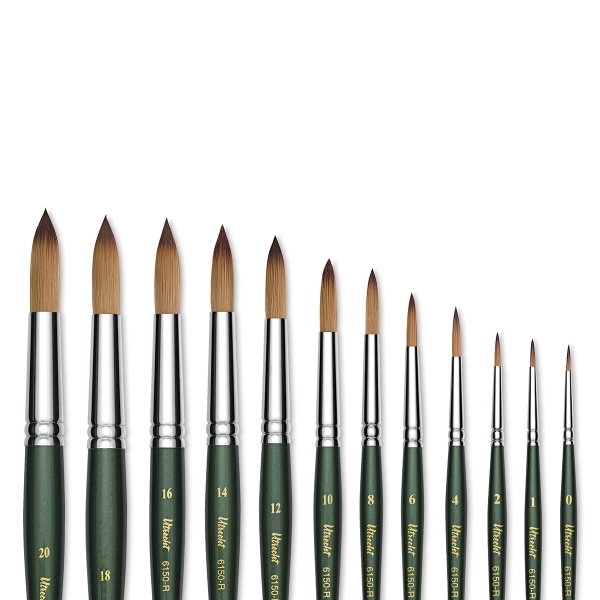 Utrecht Golden Taklon Series 6150 Watercolor Brushes are superbly constructed from the finest synthetic hair, complemented by wood handles and nickel ferrules. 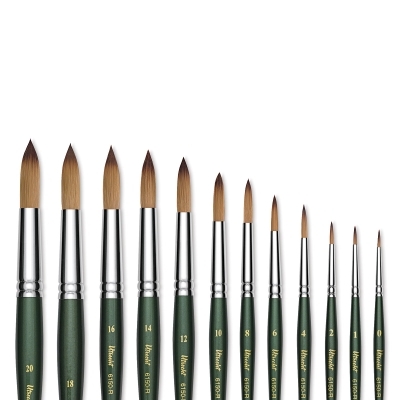 The synthetic "memory" filaments in these brushes have excellent shape retention. 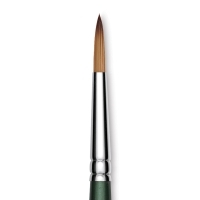 In testing, Utrecht loaded a Golden Taklon brush with water and dropped it to the floor. 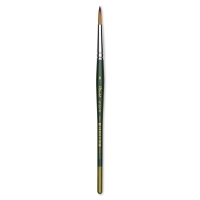 The brush retained its point and bounced back for more!